UFO SIGHTINGS DAILY: UFO Entrance/Exit Holes Found In Ural Mountains, Russia May 2015, UFO Sighting News. UFO Entrance/Exit Holes Found In Ural Mountains, Russia May 2015, UFO Sighting News. Subterranean Soviet missile stations - or tunnels to the center of the earth? 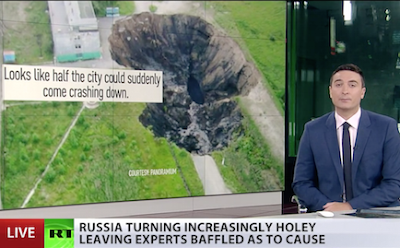 A whole host of theories have emerged after a large hole appeared near Russia's Urals mountains. An emergency situation committee has yet to say what caused it, or how they're responding. Meanwhile mysterious sinkholes have also appeared elsewhere in the region.